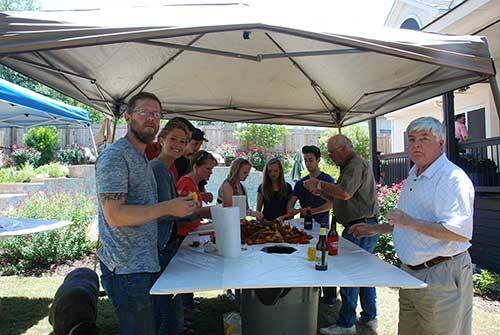 This years JPM Crawfish Boil was a blast. 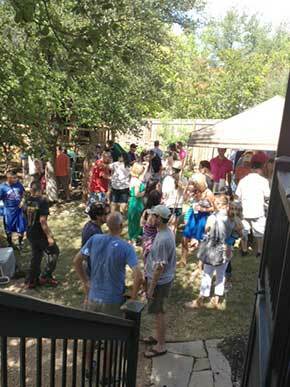 We’ve been putting this little soiree on for quite some time for our clients, friends and family. It’s a ton of work but well worth it. We also had all the fixings as well … onions, corn, potatoes, garlic and mushrooms. Getting hungry just thinking about it. Needless to say it was pretty dog gone good. If that doesn’t make you want to come join us next year I don’t know what will. This years turnout was fantastic. 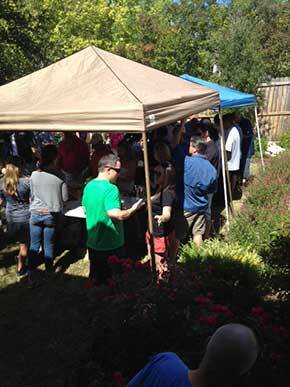 All of our clients, employees, friends turned up and had a great time. See the photos in this post. The kids enjoyed playing with all the live crawfish and eating all the cake and cookies they could get their hands on. The adults enjoyed the boiled seafood and beer. You pretty much had to have a beverage of some kind as the food was a touch on the spicy side. This little post has been in the works for quite some time but hey it’s not like it’s ground breaking journalism or anything but I just wanted to get some photos up and show off the hard work we put into making this annual event a success and to possibly entice some of our clients who didn’t show up this year to make it next year. Thanks everyone for coming this year and we’ll see you next year. Make sure you have a customized plan for your building today. If you do already, fantastic you’re ahead of the curve. If you don’t have a maintenance plan, give us a call today and we’ll come out for FREE to complete a walkthrough and give you a report to do with as you please. JPM Enterprises is a hard surface maintenance and commercial carpet cleaning company.